Nikki Dubose will present “Addiction in the Modeling Field.” Nikki is a model, author, and advocate. She is the Co-Founder of The Artists League for Change, a national nonprofit dedicated to preventing mental health issues and abuse through the creative arts, and is an Ambassador for the Shaw Mind Foundation. 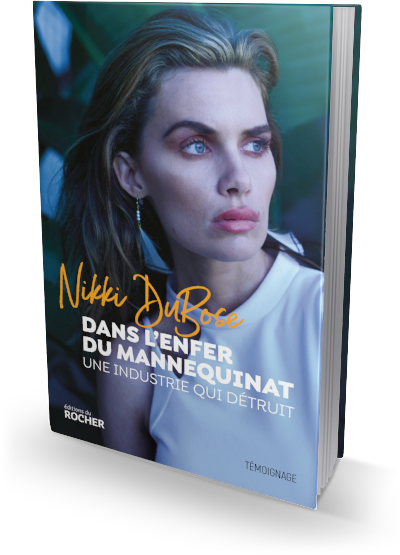 Her debut memoir, Washed Away: From Darkness to Light, will be released in France under the title, Dans l’enfer du mannequinat February 2018 with Editions du Rocher. 2018 Healing Together Conference presented by An Infinite Mind and Healing Together. Model, Author and Speaker Nikki DuBose (author of the bestselling memoir, Washed Away: From Darkness to Light), will be presenting and holding a book signing. There will also be mental health/advocacy resources available. Registration and more information here. Nikki DuBose reflects on her childhood living with her late mother, who lived with Dissociative Identity Disorder (DID) and Bipolar Disorder (BPD). In her memoir, Washed Away: From Darkness to Light, Nikki talks candidly about learning to love not only her mother through a long journey of heartache and misinformation, but learning to love herself as a daughter of a mother with DID and related conditions. Nikki believes that for adult survivors of parents with DID, compassion and education are critical to the healing process. We, too, must come to see ourselves as whole people, not “broken” members of society. Participants will have an improved understanding of DID and co-occuring conditions such as BPD, depression and trauma. Participants will deepen their compassion and coping skills as adult survivors of parents with DID. Participants will learn healthy coping techniques as they walk down their healing journey. * CEUs will be available for Florida professionals at an additional cost.